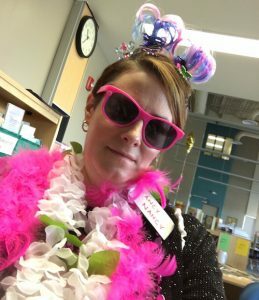 Jess is a Teacher-Librarian in the Simcoe County DSB. She is a proud supporter of OLA’s Forest of Reading Program, volunteering her time as a member of both the Red Maple Selection and Steering Committees. She has presented at Bring IT Together and Connect conferences and is a member of the SCTL Conference Planning Team. Jess loves learning from and sharing ideas with others. She also loves everything library and is passionate about innovation, literacy and STEAM. She is always looking for ways to engage students in their learning journey and is always excited to learn from and alongside students.